Photo by Ellie Connor Philips. 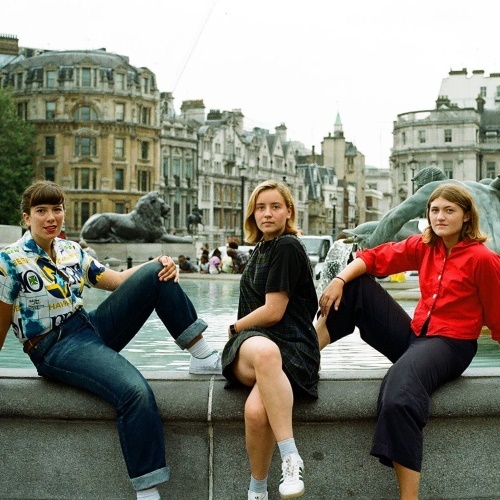 North London trio Girl Ray's Girl Ray's debut single "Trouble" is smashing. The song is about “apathy and hating yourself for trying to win pointless arguments in snakey ways,” say the band. “It’s about turning into someone you don't like.” This is exactly the kinda trouble that I like because the music sounds so good. The 7" vinyl release of the song is already sold out before its release but "Trouble" is out now on Apple Music, Spotify and Google Play. You can watch the band's for the song's b-side "Where Am I Now" here. © 2017 Best In New Music.